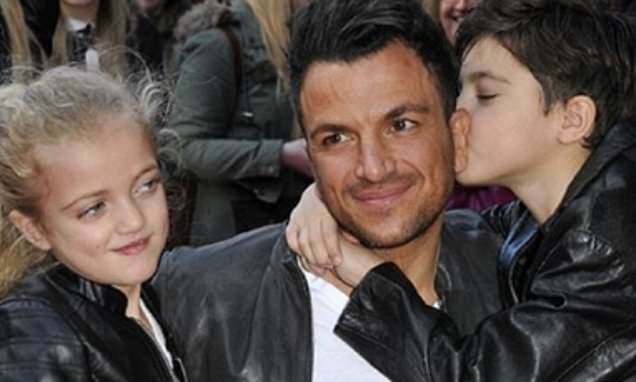 Katie Price has wished her ex-husband Peter Andre a happy 46th birthday in a sign of unity in the midst of their fractious relations. The embattled star, 40, shared a shot of her former love posing with their son Junior, 13, and daughter Princess, 11, while adding a caption in which she penned: 'Thank you for always being a great dad to Princess and Junior'. A decade after their split, Katie, who is facing a host of woes including legal, substance and family issues, took a gracious stance towards her ex. Katie and Peter found love in the I'm A Celebrity... Get Me Out Of Here! jungle in 2004 before marrying the following year. After four years of marriage however, during which they brought out an album of duets, starred in a host of reality shows and posed for endless magazine shoots, the couple then sadly called it quits. After years of public spats, the couple seemed to have moved forward as she took to Instagram to shared the sweet wellwishes. Katie's well-wishes come two days after she was banned from driving for three months and fined £1,500 after being found slumped in a 'very' drunken state in the back of her vomit-covered pink Range Rover which police saw collide with a verge. The former glamour model was almost twice the legal limit after drinking four pornstar martinis when she was arrested in the early hours last October in Greenwich, South East London.